Mozambique offers world class scuba diving and is a truly unique experience, its waters host a wealth of marine habitats and wildlife. The tropical climate provides a perfect location to learn to scuba dive and explore pristine, magical underwater seascapes. The coral reefs support a dazzling array of tropical reef fish and provide rich feeding grounds for turtles, rays and other underwater creatures, while its deep blue offshore waters support schools of game fish, dolphins and even whale sharks. Mozambique’s premium diving destinations are broken up into 6 areas, making it possible to enjoy good diving all year round. 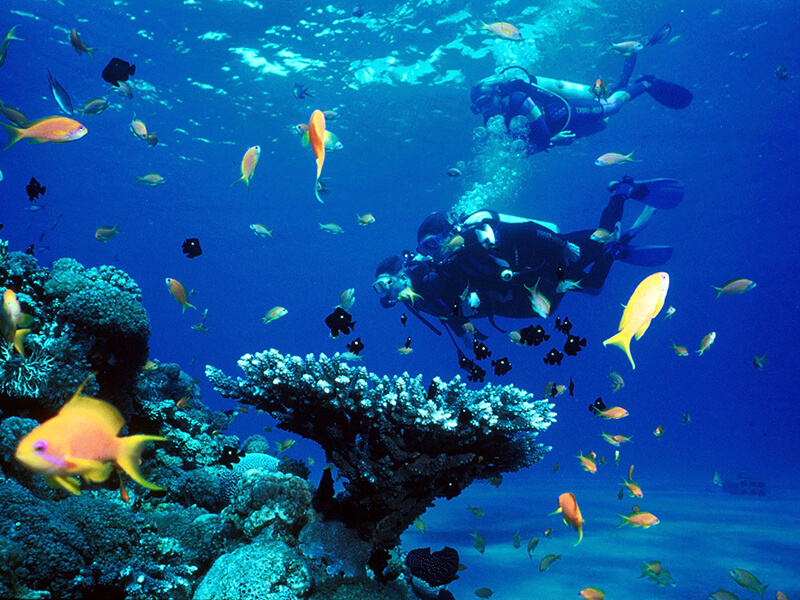 The Bazaruto Archipelago comprises of five islands with a number of dive sites offering superb scuba diving. The waters are virtually untouched and are suitable for all levels of adventurers. 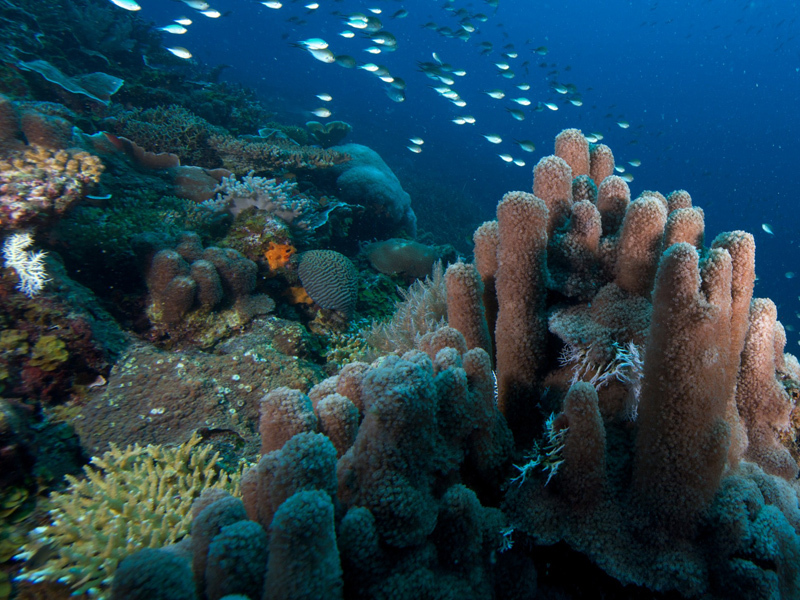 The reefs are still very much intact and are made up of a variety of hard and soft coral. Well over 2000 different species of fish, turtles, dolphins and the elusive dugong call the Bazaruto waters home. In season visiting scuba divers are in for a real treat, as Humpback Whales, Manta Rays and Whale Sharks are regularly spotted! There is only one word which comes to mind when trying to describe the diving experience at Ponta and that word is spectacular. 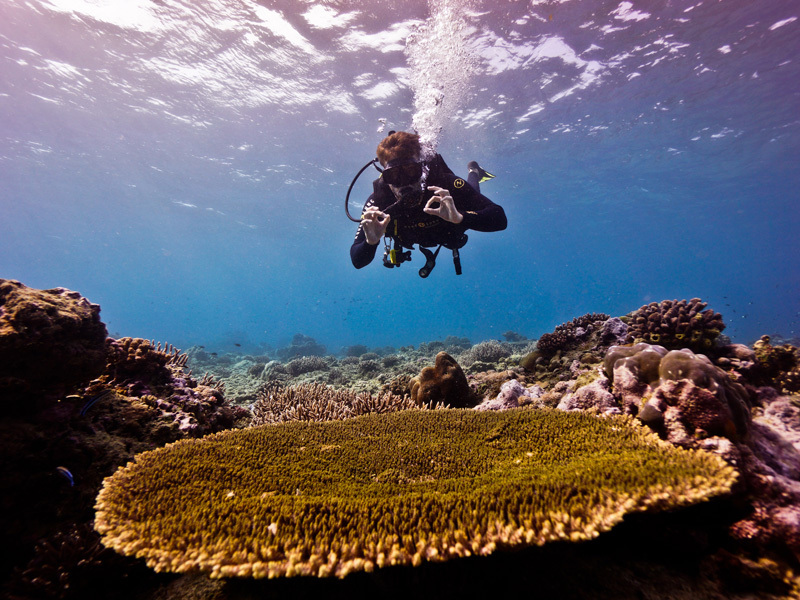 With around 20 reefs being dived regularly and new reefs still being found and explored there is one which is abuzz with activity during the summer months of December through May. Pinnacles, as it is called, is famous for its abundant shark population, with Bull and Tiger Sharks being the areas main attraction. There is also a large Bottle-nose dolphin community which resides there and they are well known for their curiosity. Close encounters with these beautiful creatures are an amazing experience. The 2500 km coastline is scattered with endless coral reefs, tropical beaches and is a mecca for scuba and snorkel divers, sun worshipers and adventures explorers. The pristine coast is one of the few unexplored pleasures of the Indian Ocean and host a dazzling display of marine life. Whatever your needs to have fun in the sun in Mozambique, you have come to the right place! October through February is Whale shark season, and these peaceful giants of the ocean are often seen (but not touched) by lucky dives and snorkelers. 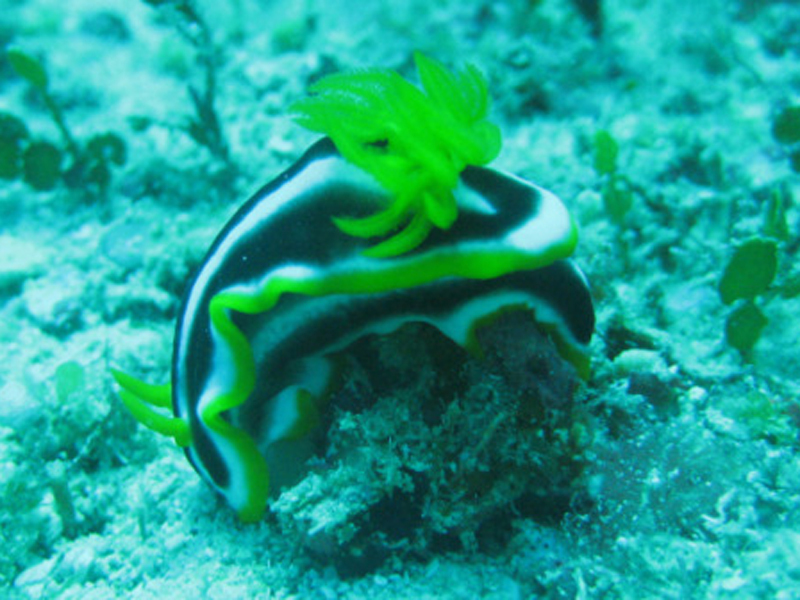 The diving in Vilanculos is rated as world class quality and expeditions are being given a unique character by the amazing landscapes of the islands. In the south there is a great selection of shark reefs, not forgetting about the Dolphins, Dugongs and Mantas Rays. Double tank diving is standard here and the regions has already established itself as a top dive destination on the world map. The diving tours on offer are varied and will allow you the experience of a lifetime, enjoy the sharks, whales and the wrecks. With its breathtaking fishing, diving andsnorkelling, the area is fast becoming known as Africa’s Caribbean. The Quirimbas is a captivating chain of 32 coral islands, pristine and unspoiled islands. The area is largely untouched and never been developed making it a true unexplored tourist paradise. 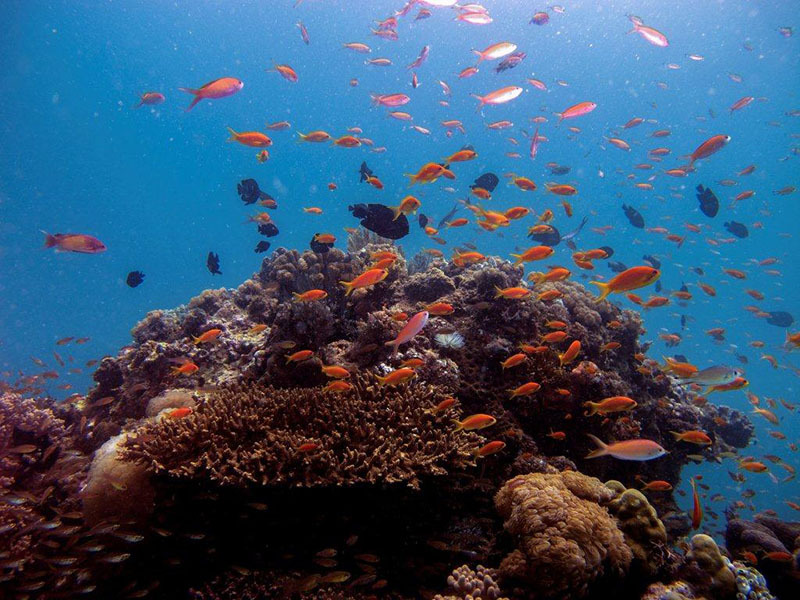 The waters contain rich coral reefs which provide the prefect habitat for a bevvy of marine creatures. The islands feature breathtaking drop offs with some reaching up to 400 meters, and it is within these walls and coral covered caves where tropical and game fish thrive. With Dugongs grazing in sea-grass meadows and sightings of sea turtles a common, a worded description doesn’t do it any justice, you simply have to see it in all its breathtaking beauty. Staying true to the old saying save the best for last, Tofo is undoubtedly one of the best diving destinations in the world. There is an abundance of sea life here and the list of breathtaking marine life seems endless, the area sports sixteen reefs, which house graceful manta rays and curious huge whale-sharks. The rich colorful coral beds are teeming with tropical fish, Butterfly, Angel and graceful Moorish Idols. With water temperatures hovering between 23 and 29 degrees Celsius this underwater world carries large amounts of nutritious plankton. Gullies and swim-throughs created by the coral are home to Honeycomb Moray Eels, Octopus and if you are lucky enough to witness it, the majestic Leatherback or Loggerhead Turtle. Our consultants can help you to choose the best beach holiday for 2019 so click here for assistance.